Established in 1947, the klin products (morvi) pvt. Ltd. Has created a name for itself in various industries. 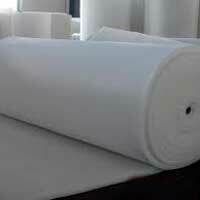 We are looked upon as the most credible manufacturers, suppliers and exporters of bleached & grey (natural)cotton wadding, thermal & chemical bonded polyester wadding, heat sealed polyester wadding , recycled cotton & polyester wadding (our all wadding are available in wider width range (40inches to 122inch) & gsm range (40 to 1400(+) & in cont. 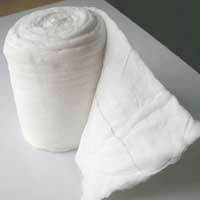 Long length) & also absorbent cotton(surgical cotton), cotton sanitary napkins. Our products match the highest quality standards. We have in house r&d, quality control & testing facilities to ensure that the products which, our valued clients procure from us are completely flawless. It is our pleasure to state that we are a customer centric company. We have a widespread network to promptly cater to the needs of our clients. Our dedicated team of professionals is available round the clock to entertain the queries of the clients. We are completely committed to maintain consistency in providing our qualitative products on time. 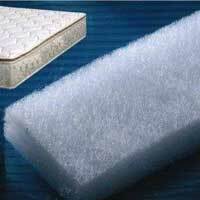 Moreover, we have priced our products very reasonably so that more and more organizations can procure our qualitative & tailor made products. 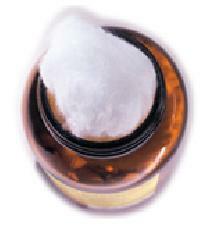 Company profile:- the klin products (morvi) pvt.ltd. 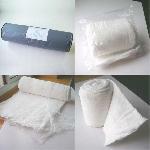 Is one of the most trustworthy manufacturers, suppliers and exporters of bleached & grey cotton wadding, thermal & chemical bonded polyester wadding, recycled cotton & polyester wadding, absorbent cotton (surgical cotton),cotton sanitary napkins. Our organization performs all its activities from its base in morvi (gujarat) india. We have been serving to various industries & trades since our inception in 1947 . Our organization was set up by late shri amarnathji khanna in 1947 .our organization is flourishing under the expert guidance of mr. Ashok a. Khanna ( managing director). His sons are handling production ,researches & developments & marketing. Infrastructure we have a well developed manufacturing unit, which is spread across an area of over 50,000 square feet. Our manufacturing unit is equipped with latest imported machineries and tools. We have a high production capacity of 2000 kg/ shift. 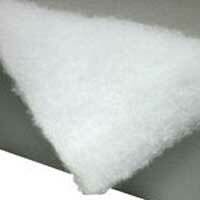 Quality assurance we use only top class raw materials to manufacture the products. Our advanced r&d & quality control & statistics facilities enable us to make constant improvements in the quality & reliability of the products. Moreover, our products are tested to ensure flawlessness. Client satisfaction attaining complete satisfaction of our clients is the topmost concern of our company. We direct all our resources to maximize our client’s contentment. Moreover, our team works in close coordination with the clients so that they get more than what they expect.